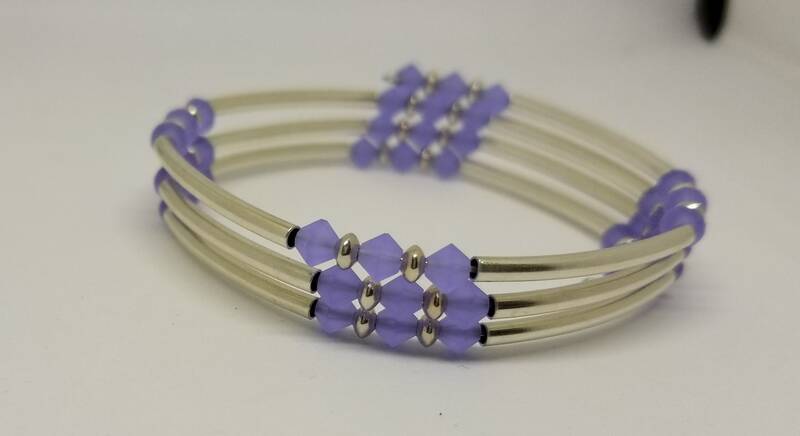 This cutie is made with lavender Swarovski crystals and silver toned tube beads. It is made with memory wire so it wraps around your wrist - no clasp needed. Perfect for everyday or that special occasion!